Hills Books are the main supplier of books, maps and walking guides to retailers and tourist attractions in Cumbria and have been since 1970. We pride ourselves on our friendly, reliable and speedy service and like to maintain personal contact with all our customers. 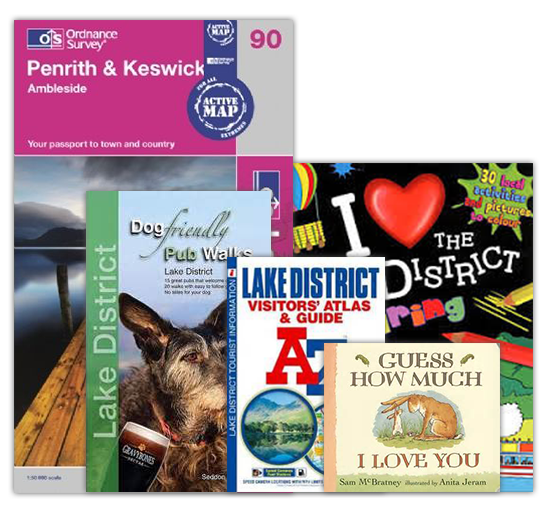 We have an extensive range of Lake district maps and walking guides and are authorised Ordnance survey suppliers. We also stock a large selection of children’s and adult’s fiction and non-fiction, local interest titles, activity and colouring books and our own range of Lake District Stationery. Come and visit our Showroom on Clay Flatts industrial estate in Workington where late night openings can be arranged. We offer exclusive bargain offers, a specialist ordering service and are also an official receiver and supplier of National book tokens. Our experienced staff are on hand to offer expert advice. Click here to place an order or request a call from one of our representatives.